We are a team of dedicated professionals, ready to do what ever it takes to help you manage your business. Ted is the Executive Director of The BRC, handling the company’s day to day operations with a focus on project management, sales & marketing. Ted is a graduate of Princeton University and has over 15 years experience in business and consulting services, including leading the global marketing efforts for ALK Technologies’ consumer solutions. He lives in Guelph, Ontario, and when not in the office you will find Ted and his wife chasing their three young children. As President of The BRC from 2005 to 2011, Peter established The BRC’s reputation as a customer-oriented service company focused on delivering value to clients and establishing long-term relationships. He has 40+ years of business experience include Owner of a retail chain, Councillor of the City of Belleville, Ontario and Special Assistant to the Canadian Minister of Agriculture. When not hard at work you can find Peter driving, chipping and putting. Elizabeth is the smiling face of The BRC, working directly with customers to identify their needs and create a first class experience from start to finish. A Director with The BRC since 2001, Elizabeth’s unmatched customer service and problem solving skills have been honed over 40+ years of experience as owner and operator of service-oriented businesses. With Elizabeth at the helm, you know you’re in good hands. When not in The BRC office, Elizabeth is most likely tending her award-winning garden or walking with her cocker spaniel, Zoe. As The BRC’s Event Coordinator since 2005, Tammie is responsible for the planning and logistics of The BRC’s public courses, on-site trainings and consulting engagements. Tammie’s friendly communication and attention to detail ensures that each client’s event runs smoothly with the proper organization and support. When she is not hard at work coordinating BRC events, chances are you will find her doting on her twin grandchildren. 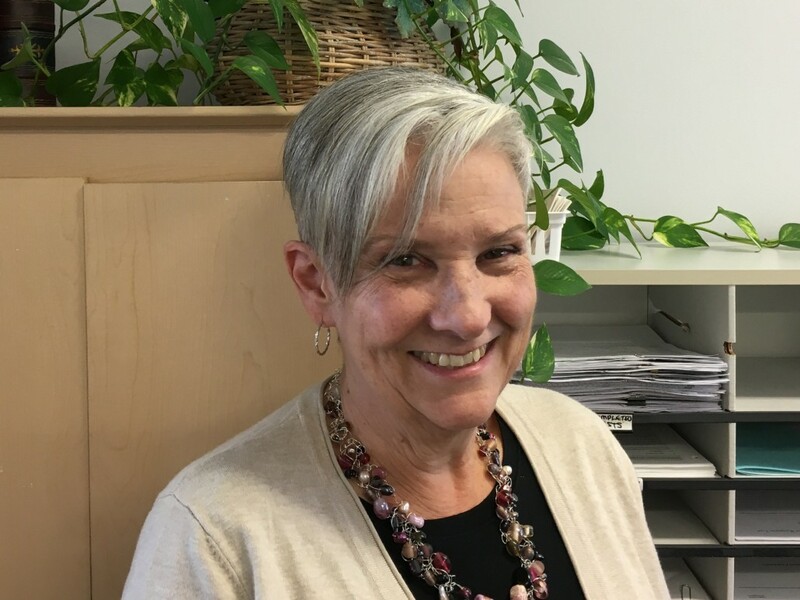 As Marketing Director, Sue is responsible for organizing and supervising The BRC’s marketing team, supporting client relationships, and marketing The BRC’s public courses and training/consulting services. Sue excels at helping clients to find training and consulting services that fit their needs and deliver value to their organization. 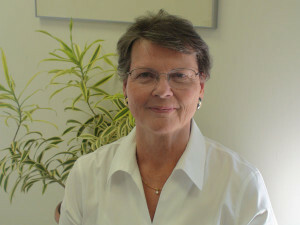 Outside of the office, Sue enjoys pampering her dogs and spending time at the cottage. We’re here to help. Don’t be shy! Contact us with your questions and comments today. In order to provide the best possible service, The Business Resource Centre has gathered together a group of professionals who have a similar philosophy in service provision and business integrity. Our associates are honest, hardworking individuals who consider it a privilege to be able to pass along to others their knowledge and expertise. With over twenty-five years in the quality industry, Michael Haycock brings a wealth of experience, expertise and knowledge to every client he works with. Michael’s capabilities include auditing, consulting and training in a wide variety of ISO standards and disciplines. His experience includes numerous QMS, EMS and OHSAS implementations, countless training courses, and hundreds of completed quality audits. Michael has worked with many of The BRC’s clients and his extensive experience in the quality industry allows him to engage small, specialized business and large, multi-national corporations alike. Over the course of his career Michael has been involved in all sides of the quality industry, including work as a Quality Manager within a large corporation, the Manager of training operations for North America’s largest registrar, and now as a consultant and trainer. We have been privileged to have Michael represent The Business Resource Centre in the quality management field since 1998. He has written most of the articles featured in our monthly Quality Review Newsletter publications. His practical, clear-headed, common-sense approach makes these newsletters very popular and well-read. Gary offers a great deal of experience and expertise in the areas of Quality Management, Health & Safety Management, and Environmental Management. A well-respected auditor, consultant and trainer for many years, Gary’s focus is on Health & Safety (OHSAS 18001) and Environmental Management Systems (ISO 14001), and he is a certified Lead Auditor in both of these standards. Gary has implemented a number of ISO 14001 Environmental Management Systems and OHSAS 18001 Health & Safety Management Systems, and assists many of The BRC’s clients through the implementation process. As a Senior BRC Consultant, Gary has also been responsible for the development of our Environmental and Health & Safety training material, and he regularly pens articles for our Quality Review and Health, Safety & Environment Review newsletters. Ted’s extensive experience in business contributes strongly to his global understanding of the importance of Quality in all fields. 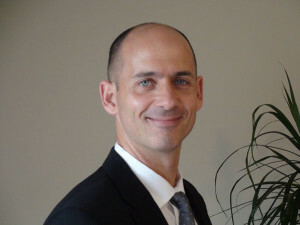 His ability to impart his expertise is a major strength when dealing with the demanding requirements of ISO standards. His congenial personality and attention to detail contribute to a unique ability to readily adapt to the situation at hand, whether consulting on site or teaching in a public training venue. Ted has a degree in Mechanical Engineering Technology and is a certified ISO 9001, 14001, 18001 & TS 16949 Lead Auditor with over 25 years experience in senior management positions with large corporations. His military experience includes work with ISO 17025 and the specification of laboratory equipment and procedures. Ted also has significant experience in ISO 13485 and has helped several companies achieve ISO 9001/13485 registration, meet FDA requirements and complete regulatory submissions to Health Canada. Ernie holds a Bachelor of Science degree and has his Masters in Education, with over 30 years in the education field as a high school principal and assistant superintendant. In these administrative roles, Ernie acquired valuable experience developing new course curriculum and delivering training to both educational and administrative personnel. His broad experience includes time with the Eastern Ontario Staff Development Network providing training in “Effective Leadership”, “Change Management” and “Management Skills” courses. He also spent 3 years on secondment to the Bermuda Ministry of Education as a Project Leader for their restructuring initiative, where he was responsible for the authoring and implementation of new policies and programs as well as the training of educational, secretarial and plant maintenance staff. Ernie’s decades of teaching, combined with his experience as an administrator and his unique insight into management and organizational needs, makes him an excellent trainer in all areas related to management skills, business structure, problem solving and continual improvement. Christina’s broad background encompasses Project, Quality and Business Management & Administration, proposal preparation, contract negotiations, joint venture administration, operation of management information and quality systems, accounts receivable and payables, and corporate and project operations. She has extensive management experience related to developing effective client relations, planning, and problem solving, and has provided a wide variety of organizations with training and consulting services to support the implementation and maintenance of ISO management systems. Christina is a polished professional with strong interpersonal, communication and organizational skills, and enjoys an excellent reputation of developing positive relationships with clients, staff, specialists, and suppliers. In addition to possessing a B.A. in Business and Economics and an Honours Degree in Accounting and Finance, Christina is certified as both a CMC (Management Consultant) and CMA (Management Accountant). Iain is a highly skilled, results driven consultant with a successful track record in business, process and operations management. He is a member of the Program Advisory Committee in The School of Engineering Technology at ConestogaCollege where he has written and delivered numerous courses in the quality field. Iain’s combined experience in business, industry, and in-class teaching makes him an ideal consultant and instructor in the areas of Quality Management, Project Management, Quality Skills & Tools, Continual Improvement, and a variety of statistical and analytical methods. From consulting projects focused on improving systems and processes, to team workshops and general course instruction, Iain’s ability to organize complex concepts and relate them in a simple, structured fashion makes him one of The BRC’s most popular and in-demand consultants. Since 1992, Jim has implemented dozens of full ISO Management Systems for ISO 9001, ISO 14001, ISO 17025 and Integrated systems that include more than one set of requirements. His training experience includes a variety of subjects related to these and other Standards – ISO 13485 & ISO 15189 (Medical Labs) and OHSAS 18001 – Health and Safety, as well as CSA Z1000. As an ISO trainer and consultant with over 25 years of experience, Jim is a skilled consultant and trainer with a proven track record of helping businesses streamline and simplify ISO process, audits, and re-certifications. Ken McCuaig is an ISO Management Systems consultant who has held the position of Operations Manager for an International ISO Registrar over a number of years. With the background of a professional engineer with a Bachelor of Engineering degree from the RoyalMilitaryCollege, Ken has completed over 400 registration audits and assisted companies with training, consulting and implementation services for the ISO 9001, TS16949, ISO 14001, OHSAS 18001 and API Spec Q1 standards as an internationally recognized Lead Auditor. He has extensive training and experience in scheduling, equipment maintenance and logistic support, Lean Manufacturing techniques and years of experience working with companies in the oilfield sector. Michael Hennessy boasts over twenty years of experience in manufacturing and quality management systems in a variety of industries. His superior communication, training and leadership skills have enabled him to build an extensive track record working with Quality, Environmental, and Occupational Health & Safety Management Systems as a trainer, consultant and auditor. He is a Certified ISO 9001:2008 Lead Auditor from RABQSA and is qualified to deliver RAB approved Lead Auditor training courses for CSA, and is a former instructor at the Southern Alberta Institute of Technology where he designed and taught their ISO-related courses. Noelle is a detail-oriented and customer-focused professional with a successful track record in engineering, project management, quality management and process improvement. She is also a Professor at Conestoga College School of Engineering and IT, where she has developed and delivered numerous courses in the quality field. Noelle’s combined experience in business, industry, and in-class teaching makes her an ideal consultant and instructor in the areas of Statistics, Design of Experiments, Lean Six Sigma, Project Management, Root Cause Analysis, Structured Problem Solving, the Core Tools, and similar disciplines. From consulting projects focused on improving systems and processes, to team workshops and general course instruction, Noelle has a unique ability to organize complex concepts and relate them in a simple, structured fashion. Jim has over 17 years of executive management and project management experience in a diverse range of industries including IT, aerospace & defence, engineering, and manufacturing. His engaging style enables him to deliver a variety of custom designed seminars, workshops, and instructor-led courses. Likewise, his analytical skills, strategic vision, and operational acumen have helped many companies to thrive and prosper in their respective markets. His quality experience includes a wide variety of training, consulting and implementation services for a wide range of clients in different industries. Jim’s emphasizes efficient systems that are effective and appropriate, and his pragmatic approach maximizes the value returned to the organization. 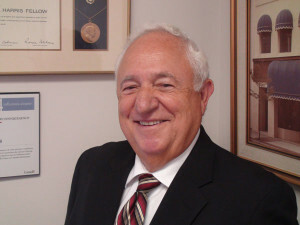 Wayne Greenlay’s professional career includes over 30 years service in the Royal Canadian Mounted Police, where he served as Manager of National Quality Assurance. Wayne combines this experience with his Masters degree and years-long involvement in quality associations and councils to offer BRC Clients a wealth of knowledge and insight into quality activities, processes and systems. His areas of focus include system implementations and the delivery of public and on-site training courses on the subjects of quality management systems, laboratory quality and quality assurance, as well as environmental and health & safety management systems. Holding a Bachelor of Science degree and a Certificate in Management, Gordon specializes in total quality management and the implementation, auditing and support of Management Systems. Gordon’s nearly 20 years as head of Quality Assurance for Johnson & Johnson Products Inc., combined with his work conducting registration audits for certification bodies and his more than 25 years as a consultant, gives him a unique perspective into the world of Quality Management from a number of different angles. His range of expertise covers a number of different disciplines and standards, including ISO 9001, ISO 14001 (environment), ISO 13485 (medical devices), ISO 17025 (testing & calibration), Pharmaceutical GMPs, ISO 22000 (food safety), and more. Gordon’s extensive experience in business contributes strongly to his global understanding of the importance of Quality in all fields, and his many years as a trainer have honed an ability to effectively impart his skills to others. In addition to classroom instruction on quality management subjects, Gordon specializes in hands-on project work related to quality implementation, auditing, maintenance, and ongoing system management. Farhad is a highly skilled, results driven consultant with experience in a wide variety of quality standards/disciplines, and an extensive knowledge of industrial operations. In his over 20 years as a Quality Management Consultant, Farhad has implemented more than 90 managements systems across different industries, and has carried out more than 300 audits. Farhad’s training includes a Bachelor of Science in Mechanical Engineering and a Diploma of Technology in Quality Assurance. He is also an ASQ “Certified Quality Engineer” and “Certified Quality Auditor”, and a Lead Auditor of several quality standards. Add to this his 17 years of professional work in engineering and quality control, along with 20+ years as a consultant working with a variety of clients, and you get a sense of the practical experience and knowledge that Farhad brings to every audit, training course, and implementation project. Over 20+ years, Brent has worked on all sides of the quality industry…from Quality Assurance within organizations, to a Lead Auditor for an international registrar and a trainer/consultant to organizations in the areas of Quality, Health & Safety, and the Environment. He has worked with businesses in a variety of industries that include textiles, fabrication, manufacturing, telecommunications, construction, aerospace and many more. Brent’s upbeat, interpersonal style and presentation skills have helped him to develop an excellent reputation and rapport with clients. Idris Bazizi has over 25 years experience working with Quality, Environment, and Health & Safety management systems and standards. His wide-ranging experience includes professional work in a variety of industries, the implementation of environmental and health & safety systems in a number of organizations, and over 15 years as an independent consultant and registrar auditor. Fluent in 4 different languages fluently (English, French, German and Arabic), Idris offers international experience that includes a Bachelor of Science degree earned in Germany, professional work in Algeria, and many years as a registration auditor for QMI-SAI and Intertek in North America. Idris combines this broad range of experience with a well-developed expertise in integrated management systems to offer all of our clients significant insights into their operations. As a Quality Assurance Specialist with a background in public and private sector organizations, Kathryn has over 20 years of experience as a consultant in the fields of Quality, Human Resources and Marketing. A graduate of DalhousieUniversity, Kathryn has her certificate in Public Relations from KingsCollege. She has been a Certified Quality Auditor with the Canadian Standards Association since 1992 and is a member of Toastmasters International. As a Quality Assurance Specialist with extensive experience working with both public and private sector organizations, she has an excellent track record in fields related to ISO 9001, 14001, 13485, 22000 & HACCP, OHSAS 18001/CSA Z1000, as well as the AS9000 Aerospace standards. 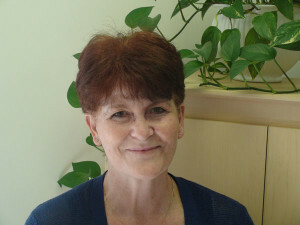 Kathryn has also published numerous quality articles in International newsletters, developed videos for television and given interviews on radio. Dan is a Professional Engineer, a Certified Management Consultant, an ASQ Certified Quality Auditor, and is qualified as a Quality System Lead Auditor…conducting audits for an international registrar. His training and consulting experience covers subjects from Quality Management to Problem Solving, Process Improvement and Production/Operations Management. Dan has a B.Sc. and MBA from the University of Saskatchewan, where he is a sessional lecturer on Production and Operations Management and Total Quality Management. He is also a founding member of the Project Management Institute (PMI) North Saskatchewan Chapter. With more than 20 years in quality, Daniel is an exceptional, senior Quality Management professional whose experience covers all sides of the quality industry. This includes implementing and maintaining business management systems from within world-class organizations, carrying out third-party audits for international registrars, and providing consulting and training services to client companies. Daniel is an excellent communicator with strong technical and problem-solving skills, and places an emphasis on helping organizations establish and maintain systems that add value and support business objectives. His areas of expertise include ISO 9001 quality management, ISO 14001 Environmental Management, and AS 9100 quality management for aerospace. Daniel’s significant Aerospace experience includes time with DND as well as business and industry. He is a Certified Aerospace Industry Experienced Auditor, qualifying him to conduct 3rd party registration audits of AS 9100 Rev. D quality management systems. Dan is also a trained AS 9100 Lead Auditor and has extensive, practical knowledge of the special requirements required within the aerospace and aviation industries. Bob has over 25 years of industry experience using Geometric Dimensioning and Tolerancing (GD&T) in mechanical design, supervision, inspection, project engineering and training. This experience has provided him with in-depth knowledge of all aspects of the design/manufacturing industry. Since 1997 he has trained thousands of personnel from the aerospace and automotive sectors across Canada, USA and Mexico, and also teaches GD&T and Advanced GD&T courses at the college level.